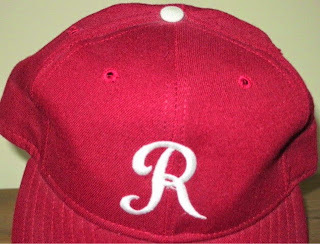 1980&#39;s Reading Phillies Cap - Fresh Fitted Friday! 1980's Reading Phillies Cap - Fresh Fitted Friday! Every once in a while a beauty comes around that is easy to appreciate even though you don't know exactly what it is. Such is the case with this vintage cap that I (have led myself to) believe is a Reading Phillies cap from the 1980's. 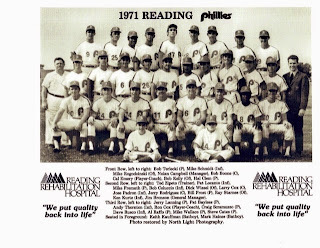 A little background: other than the Lakeland Tigers of the Florida State League, no other minor league team has consistently held a player development program with the same major league team as long as the Reading has with its parent club in Philadelphia. Because of this, it's very likely that a cap collector would see a maroon cap with white lettering as seen here and think the logo belongs to Philadelphia's long-standing Reading affiliate. At least that was my reaction when I first laid eyes on this relic, and besides the logos are so similar! Looking at the sweatband's New Era tag, I can see that it looks exactly like the one on this vintage San Francisco Giants cap. 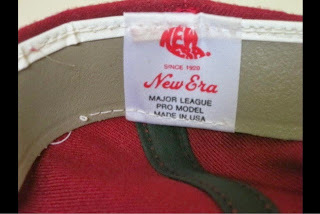 Notice that there is also no period (punctuation mark) between the letters in the word "USA" thus contrasting with the very similar New Era tags featured on these 1980's Albuquerque Dukes and Denver Zephyrs New Era caps. 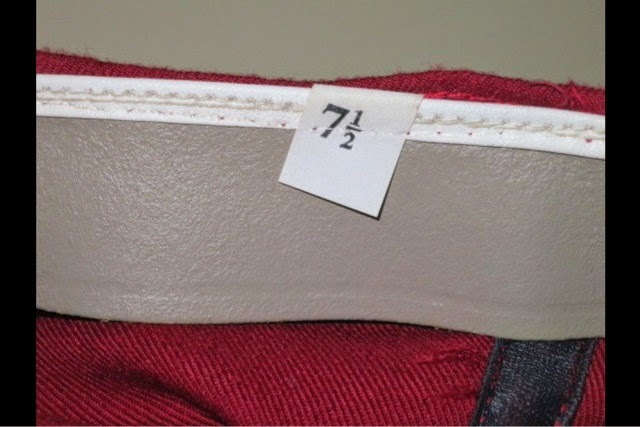 As an aside, this tag is also identical to one from a cap that will be featured in a forthcoming post on the short-lived logo that the Chicago White Sox used in the seasons between 1987 and 1990. 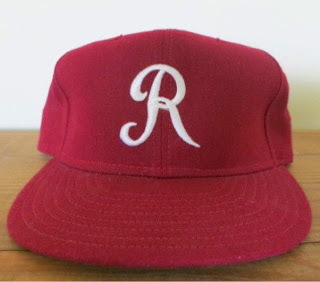 When comparing this Reading cap with the Denver cap, it should be noted that the Zephyrs only wore caps with grey underbrims (like the one featured in that post) from 1989 until their final season in 1992. Because the Phillies cap has a green underbrim and a leather sweatband, it would make sense that the cap is from at least a season or two beforehand. Other than the tag, there are no real clues to give away what year this cap could be from. 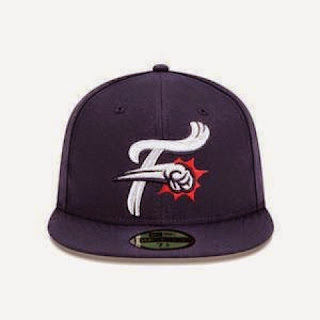 Still, my biggest issue with tge previously mentioned indicators is that this cap's logo looks almost nothing like the one that the Reading Phillies wore any time during the 1980's and early 1990's. If this cap resembles one in Reading Phillies logo history it would be the one that Mike Schmidt is seen wearing in the photo below which was taken in 1970. That is the clearest and earliest photo that I can find of any Reading player but I'm not convinced that the cap featured here is actually from that era. The first thing I asked myself is how accurately the red on Schmidt's cap could be portrayed in the dawn of color photography. My guess is that the two reds weren't very close but I'm not certain that I'd be able to tell unless I could view both caps side by side. A big thing to consider is the curly serifs on this cap's letter "R" are way too long and flowing when compared with Schmidt's cap. That discrepancy is even greater when comparing this cap's logo with those from the late 1980's and early 1990's, which is when most caps had white cotton sweatbands and that style of New Era tag. It wouldn't make any sense for a cap that was truly from the 1970's to have those two elements anyway. 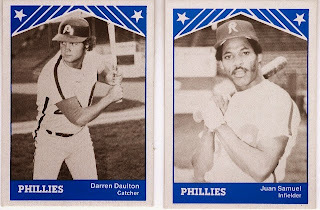 Here are some images of cards from a 1983 Reading Phillies team set. 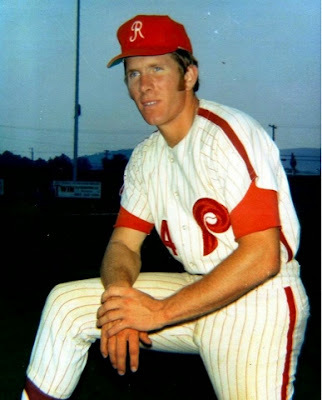 The only viable explanation is that New Era decided to produce a retro-cap that resembles -but is not identical to- the cap worn by those early R-Phils players. 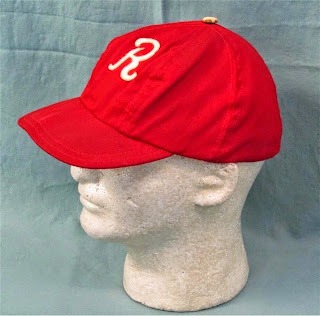 While that's probably the case, there is still a chance that this was actually a cap worn by a team other than the Reading Phillies. I've done lots of searching, but the more I think I've learned, the less certain I have become. And as a special bonus I'll be happy to share this timely link to a Phillies fan group called Phillies Bunts that is doing big things. Very, very big things! Behold the Phatness of the Phillies Bunts! Plus they're on the Facebook! Fresh Fitted Friday - 1991 Nashville Sounds Cap!